Police respond to the hoax call (s). The Recorder of York, Judge Stephen Ashurst described him as appalling and wicked. Defending, Mark Foley descried it as a petulant act of revenge on the four innocent victims who worked at the parlour. His brother, Habibul Islam, 22, of Spencer Place, Leeds, had previously pleaded guilty to perverting the course of justice and making a false statement to obtain insurance after producing his insurance details to the police to cover his brother’s driving offences and giving a false address. He was given a six month jail term for perverting the course of justice and further six month jail term for fraud, both to run concurrently and suspended for 12 months. He was also ordered to carry out 180 hours of unpaid work. 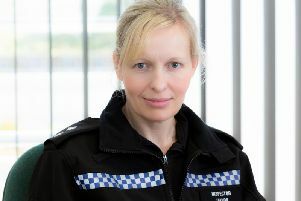 Detective Superintendent Dai Malyn, of North Yorkshire Police’s Major Crime Unit, said: “These bomb threats, which as it transpired were hoaxes, required a rapid and dynamic deployment of a large number of local and specialist police resources to deal with what was, based on the information available at that time, a credible threat and danger to the public. “The threat inevitably resulted in concerns, anxiety and considerable disruption to the local communities as roads were closed off and crime scenes cordoned off. “The business at Paragon Pizza was disrupted and I repeat my thanks to the proprietor and staff for their patience and the way they worked with North Yorkshire Police to return to normality as quickly as was reasonably possible and safe to do so, which in any event took a number of hours. “Officers from the Major Crime Unit subsequently carried out a tenacious investigation involving a number of experts to help bring those responsible to justice quickly. October 15: Islam is stopped by police in Leeds while driving his brother’s blue VW Golf. He claimed to be his brother, Habibul Islam, 22, and that he lived at 16 High Street Knaresborough, where the car was insured. Police called Paragon Pizza and were told Habibul Islam did not work there. Shaslum Islam was cautioned and told to go to Killingbeck Police station the next day with his insurance details. October 16: 14:46 The first bomb hoax 999 call was made to police lasting 5 minutes and 14 seconds. 14:51 A call is made to crimestoppers alleging that there was a bomb in Paragon Pizza which lasted 14 minutes. 17:33 The final 999 bombhoax call is made lasting 4 minutes and 23 seconds. Knaresborough is brought to a standstill by armed police as every armed officer in North Yorkshire is sent to deal with the incident. Innocent staff members at Paragon Pizza were handcuffed and searched by police. October 17: Islam is arrested in North Leeds for dangerous driving after crashing his brother’s VW golfGolf. Three mobile phones associated with the bomb hoax phone number were found in the glovebox of the car. Islam also had a quantity of class A drugs in his pocket.